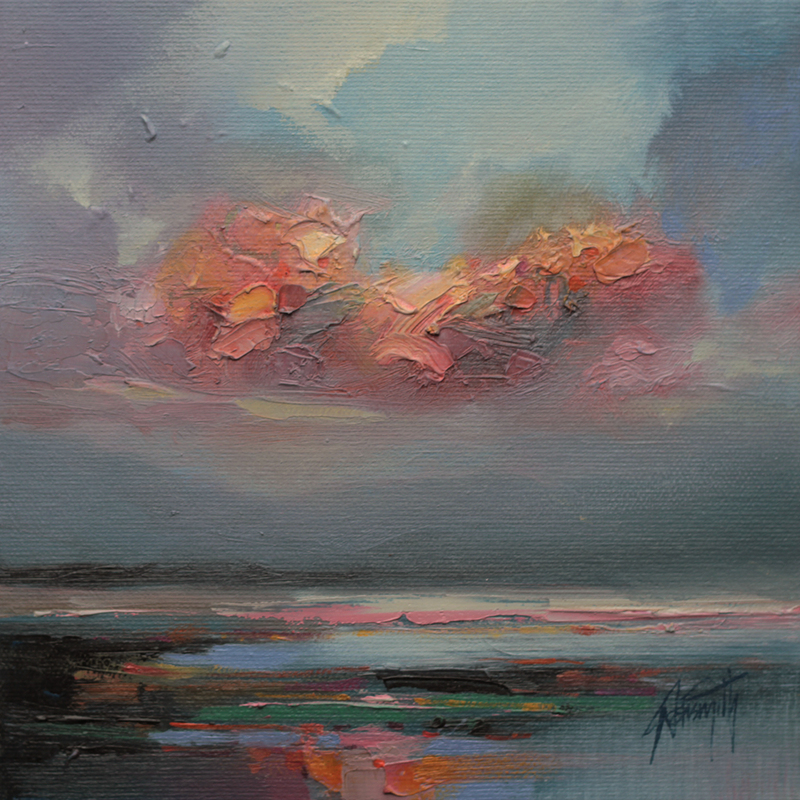 An oil painting of a sunset. What could be more prosaic? 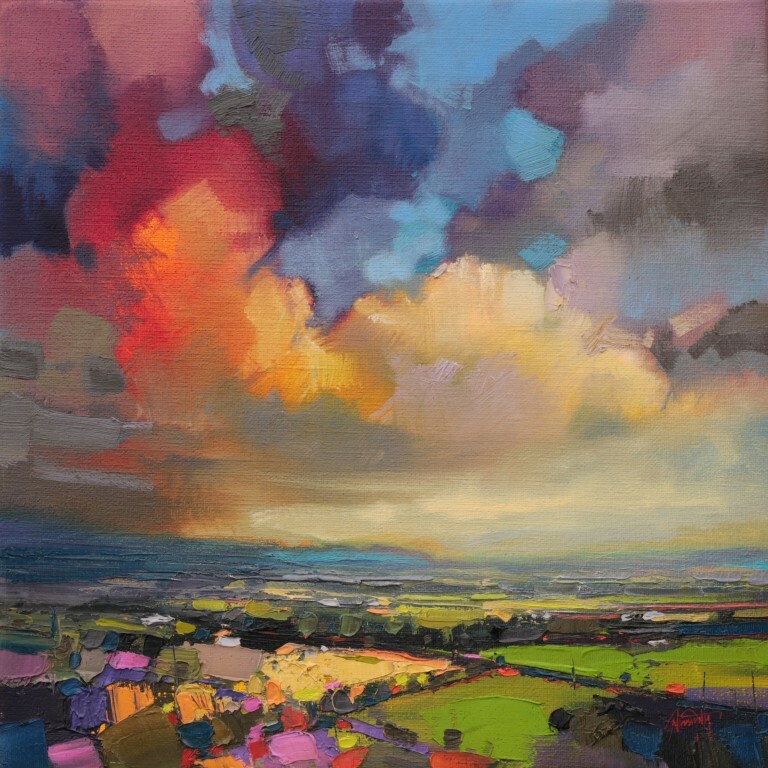 Well, Scott Naismith has a different take on the landscape of his native Scotland. 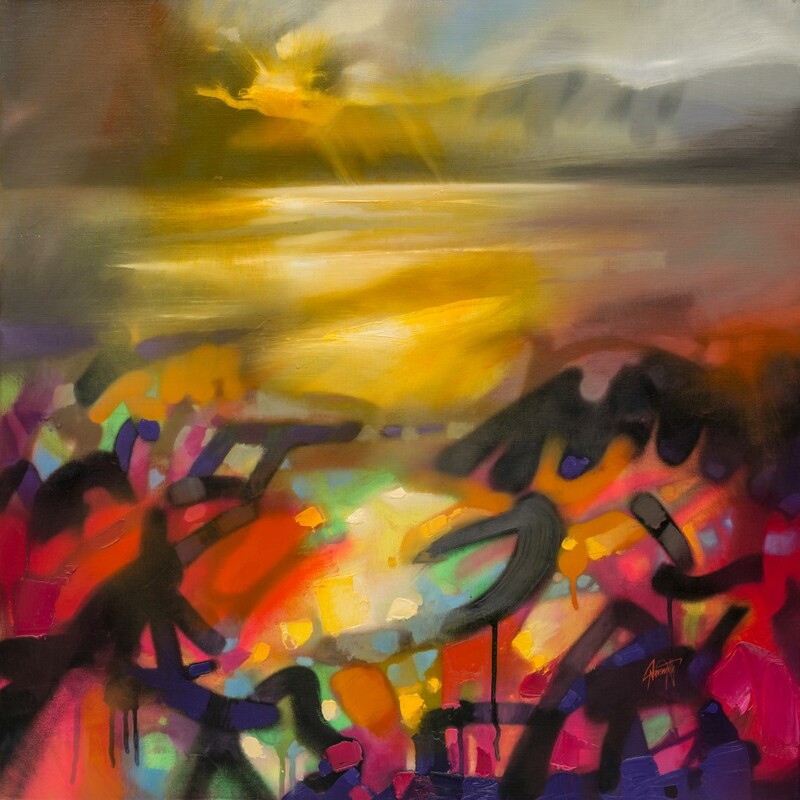 Eschewing tired impressionism for an abstracted broad brushstroke approach and an inventive vivid colour palette, he creates evocative images that please the eye with their unique take on a rather well-trod subject matter. 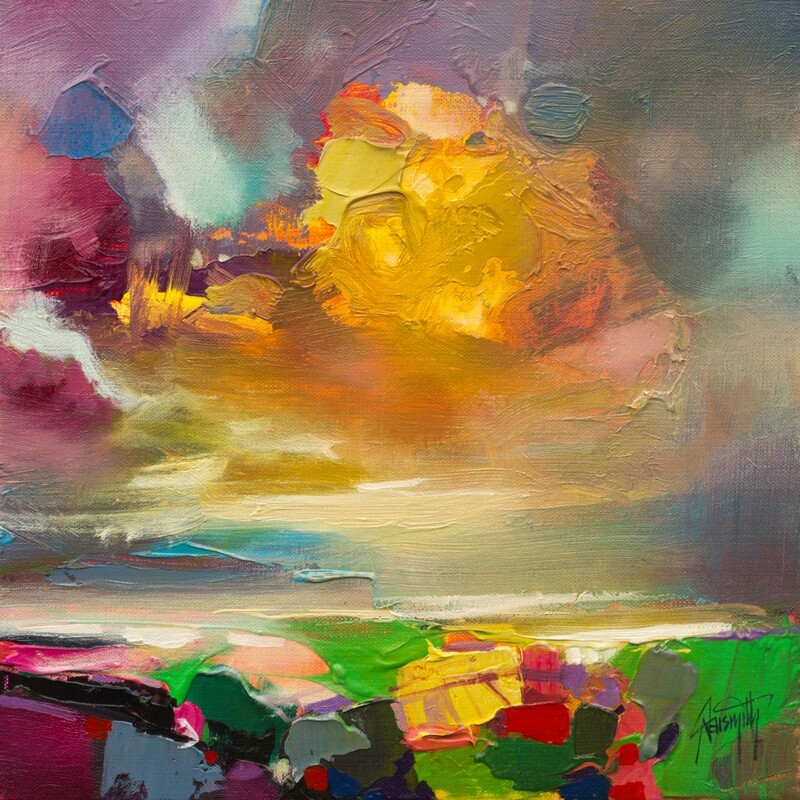 He sees the landscape in a different way, it does something to him, and in a very modern version of this romantic tradition he sets up his paintings.